The Vinery hosts some of the region’s top freelance hair professionals, with a combination of skill and experience to be able to cater for your every need. Jodie has a wealth of experience within the hairdressing profession. Her career to date has taken her to various leading Salons across the area. Jodie’s passion for her work is evident for all to see, her experience covers a wide range of skills which include colouring, cutting, in particular precision work, geometric shapes including the famous Vidal Sassoon “Bob”. 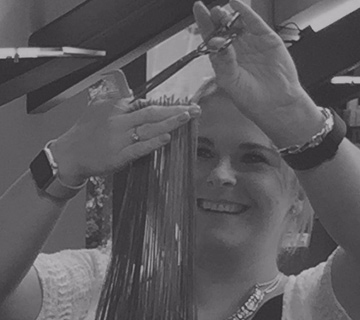 Apart from being an experienced Stylist, Jodie is also a qualified Aveda Educator. Her extensive training entailed teaching people about retail products, in depth hair colouring techniques as well as learning about the latest collections in order to teach and deliver across other salons. Jodie really loves teaching and being able to share new ideas with colleagues and clients alike. Further, She also enjoys doing wedding hair & Make Up which brings out her creative best. Her experience in this field of work spans over 13 years and has taken her across the Europe to some of the most glamorous venues.